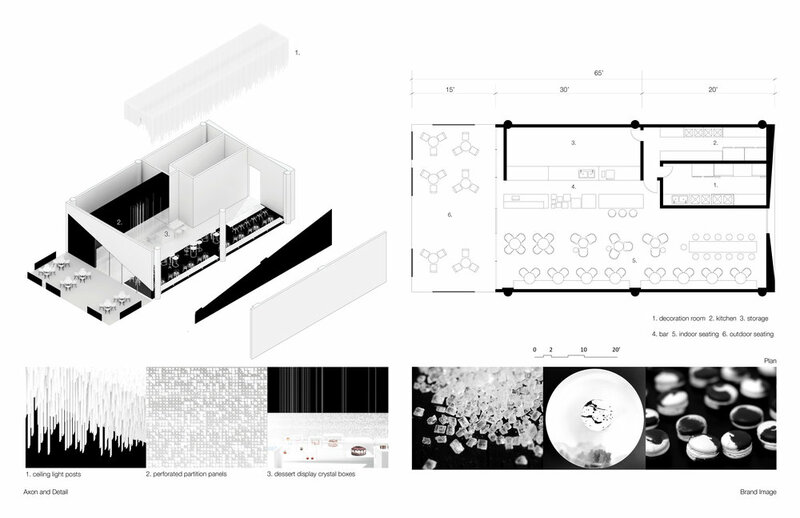 This project is the conceptual design of a national known pastry cafe - Lan’s Patisserie located in the city center of Chengdu. The overall geometry and interior installation concept is inspired by the crystal cube form of sugar, which is the most important component of all sweets. The high-contrast color tone is inspired by some of the cafe’s signature dishes. By opening up the exterior facade, the design brings natural light into the narrow plan. 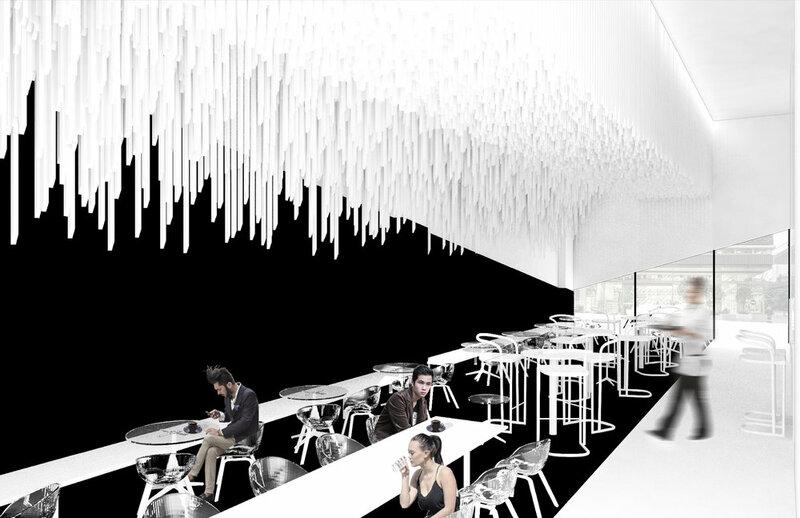 The interior installations helps render a memorable sweet pastry experience.